Perfect results in minutes - for smooth skin for weeks. 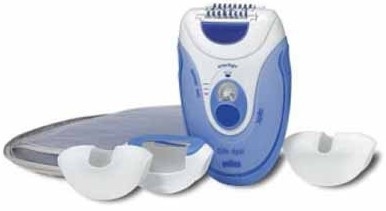 Silk-épil 5 has been designed for efficient and extra gentle hair removal. So you can feel beautiful with silky smooth skin from head to toe for up to 4 weeks! 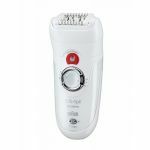 The epilation head comes with 40 Tweezer Technology for fast and efficient results. It removes significantly more hair in one single stroke. Re-growth is slower and finer, leaving your skin silky smooth for up to 4 weeks. Silk-épil 5 also includes unique SoftLift Tips® which effectively lift even flat-lying hair and help guiding them to the tweezers. The Smartlight highlights the area that is being epilated so that even short, fine hairs are visible and won't be missed. Braun Silk-épil promise for gentle hair removal: with tailored features to make standard epilation even more comfortable. The Dual Massage System of Silk-épil 5 gently activates the skin before and after epilation to minimize the pulling sensation. 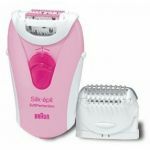 With all Silk-épil epilators you can choose the right speed for your individual needs: Speed 1 for extra gentle and speed 2 for extra efficient epilation.